I get so many compliments of this canvas. It looks really expensive in my living room. Thanks Overstock. This is the perfect painting I needed with these colors. 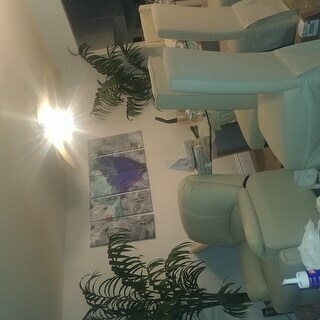 It makes my Living room look so sophisticated. 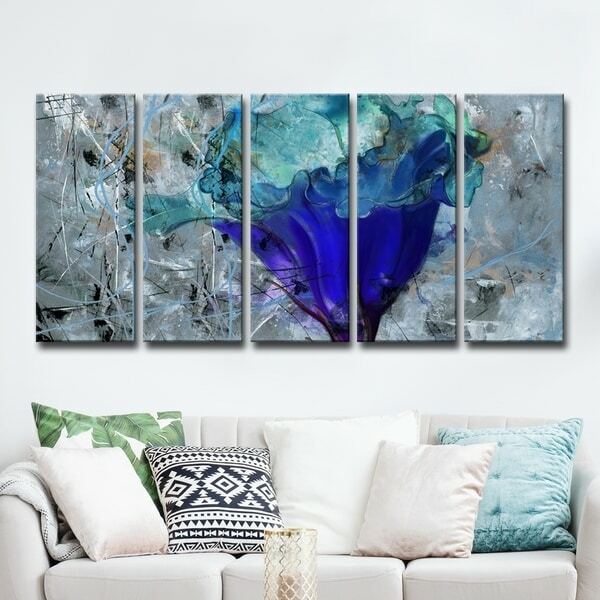 Give any space a cool, captivating flair with this beautiful oversized gallery-wrapped canvas. This ink print canvas is an enchanting, contemporary addition to your home. This lovely piece of wall decor will rejuvenate your living area. Masterfully produced at R2H factory in Lake Worth, Florida on water resistant canvas enhanced with a matte UV-Resistant finish. Each piece is handmade, skillfully wrapped on a wood frame and finished with a rear saw-tooth hanger for simple install. Dimensions 1.5 In. X 60.0 In. X 30.0 In. Wow! This 5 pc set changes and adds vibrancy to the room. The colors pop off the canvas and accentuates the blues in the throw pillows. We have a Huge "great room" with a lot of wall space and this piece looks so great!! So happy I got it. We absouelty love this canvas set. The colors are amazing and it takes up a good size portion of the wall. Every time we have friends or family members over we get compliments on it. Brought this art set for my niece b-day. She loves it. The colors are beautiful. The art is beautiful. It really makes a statement. Excellent quality. Love it. The description clearly indicates that this is not a traditional canvas. The material is more like t-shirt fabric. Decided not to use it in my dining room. Still looking for another place for this item. The item is as described, however, the colors are not as vivid as shown online. Very disappointed with this purchase. It looks nothing like the picture. It feels as if it has been just printed on piece of paper and printed and glued on the board. Very bad quality. 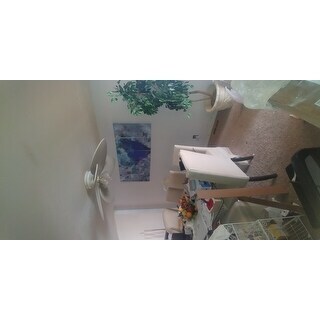 Really vibrant colors, hung up very easily and looks nice. Only complaint is this is printed onto canvas so has not actual texture to it but knew that going in. Lovely and exactly what it looks like. I did get a little tired of the design after a while. I ended up returning this item, because it wasn't nearly as vibrant as the picture. If you look closely, you can see the image is also a little blurry, almost like when you try to blow up a picture that doesn't have enough pixels. 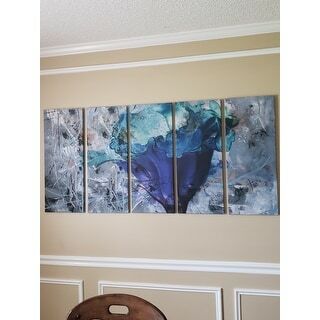 I picked this product because i wanted a big frame and the colors were beautiful. I was looking for a large piece that came in a set to fill up a big empty space on our wall. This has the blue and brown colors that will flow well in the room and is a vibrant simple piece.